This entry was posted in Condiments, Dips, Home, Recipe Index and tagged condiments, Cucumber, Dips, garlic, Lemon juice, Tzatziki, yogurt by Ginger Smoothy and Otto Pilot. Bookmark the permalink. This sounds so refreshing! Wonderful, I’m sure, with your tzatziki. Yes , we love this stuff, I’ve tried lower fat versions, and it just isn’t the same . The Balkan Style yogurt is still healthy though , there really is no comparison with homemade vs store bought ! 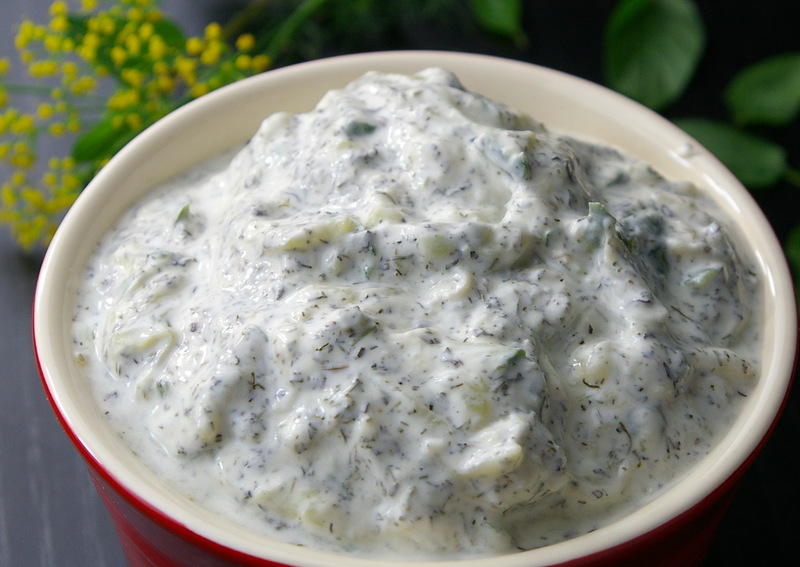 I absolutely LOVE tzatziki sauce, and, although I knew it featured yogurt and cucumber, I wouldn’t have known where to begin without this terrific post and helpful hints. I’m definitely going to make some very soon. Thanks! Thank-you for the kind words, yes this is a nice recipe, and if you drain the yogurt first it will not become runny. The yogurt cheese as they call it , also makes a nice ice cream and versatile for dips as well.